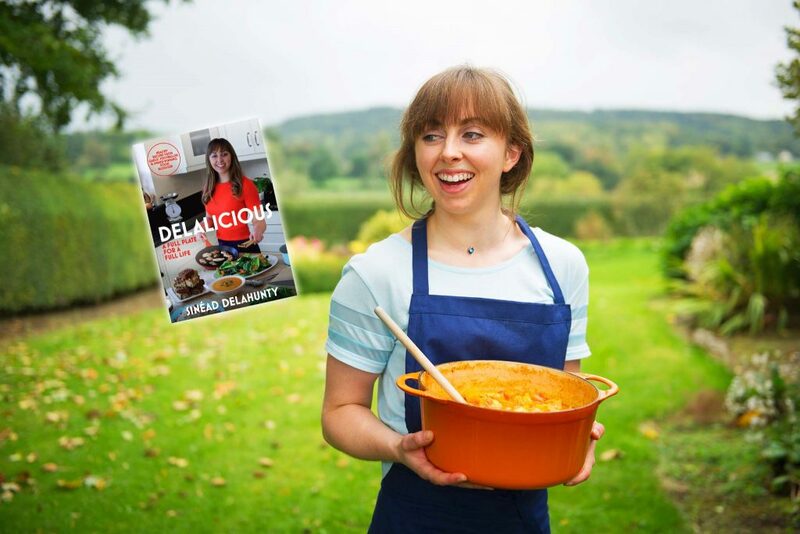 Sinéad Delahunty is a Tipperary physiotherapist, food blogger, and Gaelic footballer and will be at Dualla Show this year demonstrating fantastic recipes from the first cookbook ‘DELALICIOUS’. Sinéad’s delicious, doable recipes embrace the natural food around us and will inspire you to eat for better health and boundless energy. You will also have the opportunity to to purchase a signed copy of her cookbook. In the meantime, Sinéad has kindly shared one of quiche recipes with us here at Dualla Show. These quiches make a great brunch option or are perfect as a fuss-free lunch or post-exercise option. Simply make a big batch and keep in the freezer for when you need them. Swap the mackerel for your favourite fish or use up leftover ham, chicken or turkey instead. 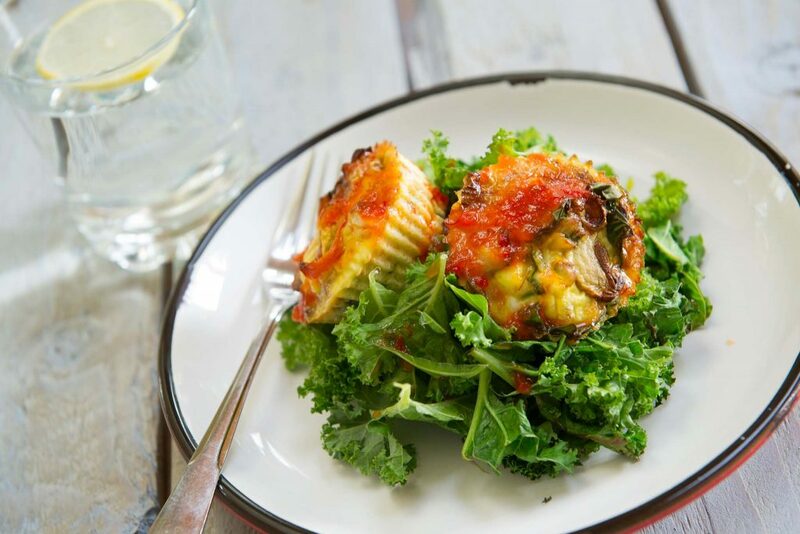 You can keep these quiches completely vegetarian too by simply increasing the quantity of vegetables. Preheat an oven to 180°C/160°C fan/350°F and line a cupcake tray with silicone cases or else grease each section with some oil. Whisk the eggs and milk together in a large mixing bowl. Add in the mackerel, vegetables and feta. Season with some pepper and whisk all the ingredients together. Evenly pour the mixture amongst the cases and bake in the oven for 30 minutes or until a skewer comes out cleanly. Leave to cool in the cases and gently ease out onto a wire rack. To serve: dry fry the kale or spinach in a frying pan over a medium heat until it begins to wilt (use a microwave either on high for 2 minutes), transfer to a plate and stack the cupcakes on top. Sprinkle over the sweet chilli sauce. After work and the football field, the kitchen is generally where you will find chartered physiotherapist and Gaelic footballer, Sinéad Delahunty. Fethard native Sinéad comes from a long line of farmers and home cooks so real food and the importance of cooking from scratch using wholesome ingredients is all she knows. Sinéad believes cooking shouldn’t be elitist and shares her kitchen creations through her food blog – DELALICIOUS. Her food blog focuses on inspiring others to fuel their lives through healthy, wholesome and real food with quick and easy recipes for all. Sinéad is a self-professed pro at batch-cooking, making meals from scratch in minutes and cooking within a tight budget whilst juggling work, sport and blogging and most recently whilst travelling the world backpacking for 2017. Sport is a major part of Sinéad’s life and she has represented her native Tipperary at inter county level for many years and plays at club level with Foxrock-Cabinteely, Dublin. Sinéad is delighted to be taking part in this years Dualla Show. Hear her share her passion for food, exercise and health whilst also getting the opportunity to taste her recipes and purchase a signed copy of her cookbook! Check out her blog, www.delalicious.com for more recipe inspiration or follow her on social media for more Delalicious delights.